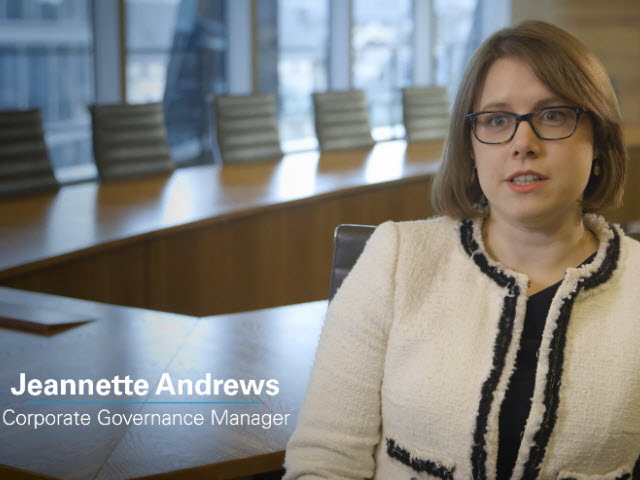 Jeannette Andrews discusses LGIM's Stewardship and Corporate Governance Reform engagement. New developments in battery technology are changing the way we transport and power the world, with innovation happening all along the value chain. Significant progress has been made to improve the energy density, price, lifeline and safety of batteries while mitigating the impact on the environment. Join Aanand Venkatramanan, Head of ETF Investment Strategies and Mark Higgins, COO, Strategen to hear insights about the global battery technology investment case. What is the growth potential of the global battery industry and what is driving it?? To dial in to audio only please use the phone numbers below. To view the presentation please watch via the invite link. International numbers available via pdf attachment. Join Howie Li, Head of ETFs, as he is interviewed by David Stevenson, FT columnist, to discuss L&G ETF’s new core equity ETF range. •Why should investors now expect more from their core equity solutions? •What should investors be considering when evaluating the index design of their core equity holdings? •What potential opportunities does this create for investors? It has been 5 years since inception for the Multi-Index growth funds. The Multi-Index team talk about the story so far. •Where are we potentially in the cycle? •What is portfolio construction and preparing for a possible bear market? •What are safe haven assets and how can they be added to a typical portfolio? Watch the latest Talking Factsheet from Square Mile with Alex Farlow, Head of Risk Based Solutions Research, discussing the L&G Multi-Index Funds. As growth picks up in the global economy, we expect economies to consume more resources to continue expanding and that demand may put upward pressure on commodity prices. Yet there may also be head winds. Are commodities on the way up? What next for China? What will populism throw up next? In addition, commodities are typically driven by underlying factors unconnected to those driving equities and fixed income. This means they offer the potential for uncorrelated returns and an allocation to commodities can is one of the ways to diversify a typical portfolio. From robotics to cyber security, what are the potential opportunities? Our world is being transformed as a new wave of innovation, often technology-led, challenges every aspect of how we live and work. For investors, this could bring new investment opportunities, with the potential for higher growth than traditional investments. In this short three minute video hosted at the Professional Adviser 360 Conference, Justin Onuekwusi, Fund Manager at Legal & General Investment Management, discusses the market conditions facing investors and the signs that could signal a potential bear market. Martin Reeves and Sophia Hunt talk about our global high yield offerings. Justin Onuekwusi talks about recent market fluctuations and whether investors should be worried.